Stephen A. Crystal, Esq. 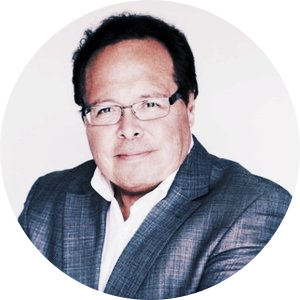 has spent twenty-five (25) years directly involved in all aspects of the casino and gaming technology industry, iGaming and esports, worldwide as a CEO and attorney representing public and private gaming companies. His full biographical and career details are available at his personal website, http://stephenacrystalesq.com. Dave is a graduate of the School of Hotel Administration at Cornell University. Following his time as an Officer in the US Army, he graduated from the University of Pennsylvania’s Wharton School with an MBA in Finance and a MS in Accounting. He later attended the Advanced Management Program at Harvard Business School. He started his career at the investment banking firm of Smith Barney & Company. He later joined Fluor Corporation where he was responsible for financing international petrochemical and refinery projects. He then joined Caesars World, Inc. where he served six years; first as Chief Financial Officer and later as Executive Vice President. Following Caesars, he joined Harrah’s in Atlantic City as President. From Harrah’s he became Chief Executive Officer at Merv Griffin’s Resorts International in Atlantic City and the Bahamas. After his period as President and CEO of International Game Technology, he joined Rio Suites Hotel in Las Vegas as President and Chief Operating Officer. For five years, he served as Chief Executive Officer at Empire Resorts, Inc. in Monticello, New York. Later he became a developer and consultant to various gaming, hospitality, technology and entertainment companies. Over the years, he has held a number of outside interests including serving as Executive in Residence and a member of the Industry Advisory Committee at the Cornell Hotel School. He was also a three term member of the Cornell University Council, and a Director of the Cornell Football Association. He also served as an Advisor to the Wharton Entrepreneurial Program. Joseph Valandra is a member of the Rosebud Sioux Tribe of South Dakota. Joe has over 25 years of business experience including an extensive background in capital formation as well as managing public, private, and government operations. He is a leading expert in the area of Class II Tribal gaming. Joe served for two years as the Chief of Staff of the National Indian Gaming Commission (NIGC) in Washington, DC. 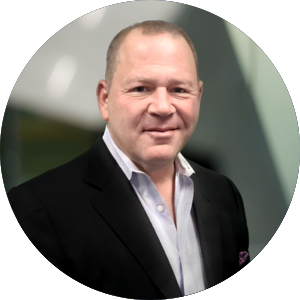 Prior to joining the NIGC, Joe held executive positions with a gaming development company and was the Chairman & CEO of a large worldwide manufacturer and supplier of bingo and pull-tab gaming products and related electronic equipment. Using his collective experiences in government, business and gaming, Joe founded Lunatic Games – a company uniquely focused on the technological development, marketing, and legal deployment of a full suite of Class II, i-Gaming products and services designed to benefit sovereign Indian nations and other affiliate partners. He additionally took a lead role in shaping and launching Great Luck, LLC. Great Luck is the first technology in the world that can be accessed from any location through a browser-based gateway to a virtual private network (VPN); the VPN connection then allows the user to engage a proxy to play fully regulated games for money. Along with these technology ventures, Joe is the Managing Director of VAdvisors, LLC a specialty advisory firm in McLean, VA. VAdvisors provides consulting services and advice in the following areas: strategic planning, capital development, mergers & acquisitions, crisis management, growth planning, new product development, operational evaluations. The firm also specializes in the areas of American Indian policy and issues focusing primarily on Tribal Government Gaming and related business issues. Joe is a graduate of the University of South Dakota Business School and the University of Minnesota Law School. Lou D’Amico is a Las Vegas race and sports book legend, providing decades of senior leadership for flagship race and sports operations such as the Las Vegas Hilton, Caesars Palace, Barrick Gaming Corporation, PlayLV Gaming Corporation and Cantor Gaming. Lou has taken his expertise to media, starring on Velocity TV’s show, “The Linemakers”, co-hosting the weekly radio show, “Bad Beat of the Week” on KSHP Radio. Lou is also credited as Associate Producer on the television documentary, “Cash is King in Vegas”, a documentary about old Las Vegas and organized crime. Mr. D’Amico also lends his expertise to LEET, Inc., an information and data provider as an advisor on esports. Kelly Segovia has over 25 years of experience in the casino gaming industry, in gaming operations, loyalty marketing, and IT operations. Kelly has specific IT focus in the discipline of change management, specifically managing the way transformational enterprise IT solutions touch operations, employees and customers. 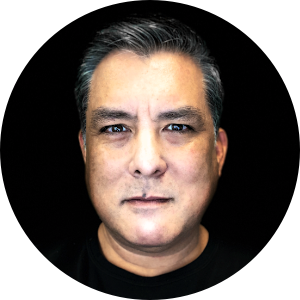 Additionally, Kelly has over twelve years of experience in the design, development, and implementation of complex integrated enterprise loyalty marketing technology solutions for the gaming industry, successfully deployed across all major gaming jurisdictions in the United States, and Asia. Copyright © 2018 SCCG Management, LLC, All rights reserved.